Founders of Ola, India’s largest ride-hailing application, have won the backing of Temasek that has agreed to vote with them as a part of a recently structured secondary subscription of shares, said two sources familiar with the development. 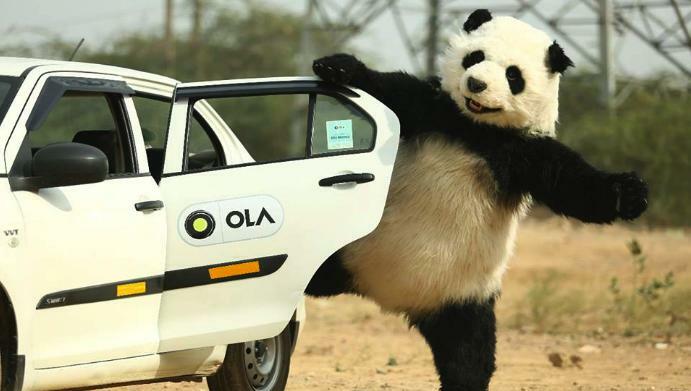 The move will give more power to Ola co-founders Bhavish Aggarwal and Ankit Bhati, who strengthened their rights last year allowing them to veto any further stake buys by the largest shareholder, SoftBank, as also protect their stake. The joint venture will integrate teams from Infosys and the operations of Temasek’s wholly owned subsidiary in Singapore, Trusted Source Pte Ltd which currently delivers IT services to Temasek and a number of other clients. As part of the transaction, Infosys will acquire a 60 per cent stake in the joint venture and Temasek will hold 40 per cent. The agreement has taken effect on Thursday. The world’s largest ride-hailing provider Didi Chuxing lost CNY4 billion (USD585 million) in the first half of this year, extending losses of CNY2.5 billion last year as the firm becomes the most closely watched subject of a central government probe into the sector. The Beijing-based firm dished out almost CNY11.8 billion in passenger subsidies and driver bonuses, tech news portal 36Kr reported after gaining exclusive access to the figures. Whole-year subsidies and bonuses in 2017 tallied just over CNY18 billion, or CNY2.43 (36 US cents) for each of its 7.4 billion orders. The post Today’s top tech news, Sep 07: Ola founders get Temasek backing in secondary share purchase appeared first on e27.